Hilliard, Nicholas (1547-1619). The most celebrated of English miniaturists. Son of an Exeter goldsmith, he was trained as a jeweller. In about 1570 he was appointed Court Miniaturist and Goldsmith by Elizabeth I, and he also worked for James I, but after the turn of the century his position as the leading miniaturist in the country was challenged by his former pupil Isaac Oliver. These two were head and shoulders above their contemporaries and dominated the limning of their era. Hilliard's reputation extended to France, which he visited c.1577-78. In his treatise The Arte of Limning (written in about 1600 but not published until 1912) Hilliard declared himself as a follower of Holbein's manner of limning. 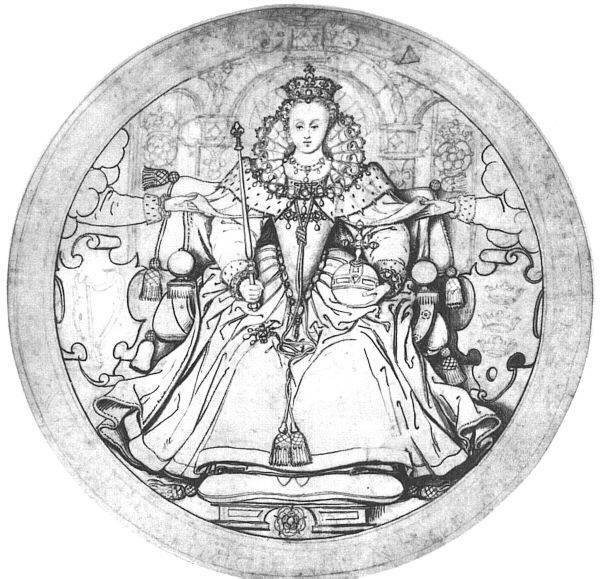 In particular he avoided the use of shadow for modelling and in his treatise he records that this was in agreement with Queen Elizabeth's taste--`for the lyne without shadows showeth all to good jugment, but the shadowe without lyne showeth nothing'. 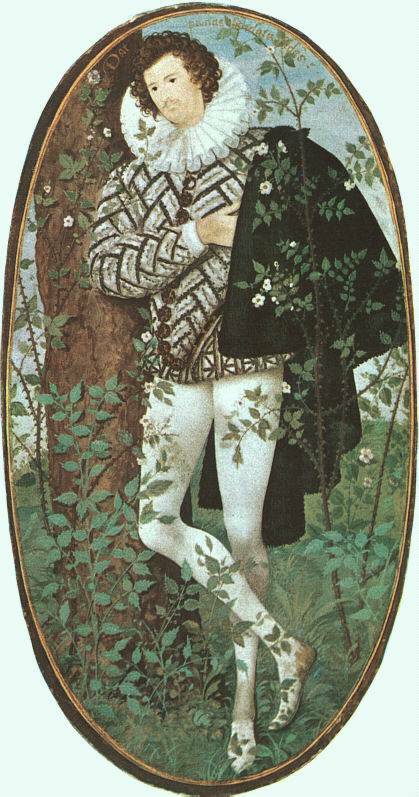 But while for Holbein a miniature was always a painting reduced to a small scale, Hilliard developed in the miniature an intimacy and subtlety peculiar to that art. He combined his unerring use of line with a jeweller's exquisiteness in detail, an engraver's elegance in calligraphy, and a unique realization of the individuality of each sitter. His miniatures are often freighted with enigmatic inscription and intrusive allegory (e.g. a hand reaching from a cloud); yet this literary burden usually manages to heighten the vividness with which the sitter's face is impressed. Apart from the Queen herself, many others of the great Elizabethans sat for him, including Sir Francis Drake, Sir Walter Raleigh, and Sir Philip Sidney. The finest collection of his miniatures is in the Victoria and Albert Museum. He is known also to have worked on a large scale and among the paintings attributed to him are portraits of Elizabeth I in the National Portrait Gallery, London, and in the Walker Art Gallery, Liverpool. In spite of his success, Hilliard had considerable financial problems and in 1617 was briefly imprisoned for debt. His son Lawrence (1582-after 1640) was also a miniaturist.